Just some important information on collections during Ramadaan. Payable for everyday of missed fast. either as a satisfying meal, or half a Saa’ă of reservable food of what people can reserve for later. like rice parly wheat pulses…etc. The average cost of this in Damascus presently about £2.50. This payable in preservable food only. One Ssaa’ă of (grain rice wheat etc, dates or raisins) per person in the family regardless of their age. The average cost of this is about £4 to £5 per person. If you want to give Saa’ă of dates then the cost of this rises to above £10. رحمه الله وجزاه خيرا . ⭕we are aiming to complete the collection for the above by the end of the second week of Ramadan. This will give us chance to send the money over and for the organisers over there to sort out buying and distributing without causing hardship of last minute rush. If your donation is for normal charity then write Sadaqaht or charity. PLEASE NOTE: The last two weeks of Ramadan we will only collect for Companions Of the Mosque projects support. جزاكم الله خيرا وتقبل منا ومنكم صالح الأعمال. Finally, inshaaAllah see you all tonight 10:30 for 10:45 start. 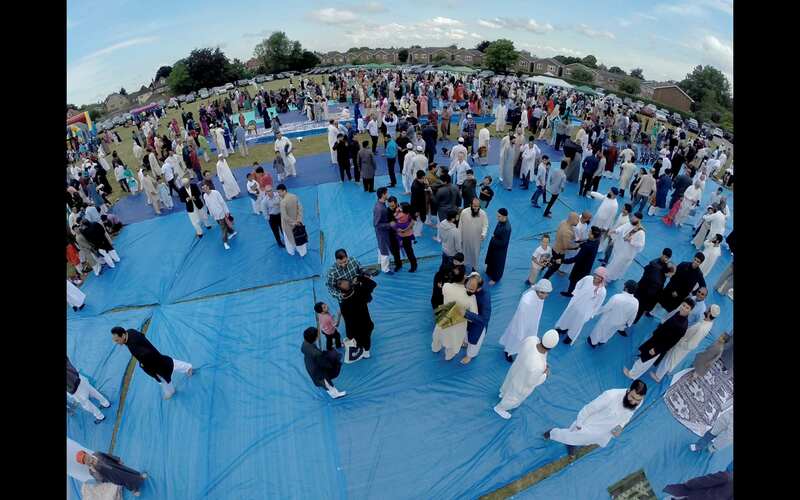 Companions of the Mosque will be organising Eid gathering in the park for the family for the sixth consecutive year. Date to be confirmed – please watch this site tomorrow night after 6pm. 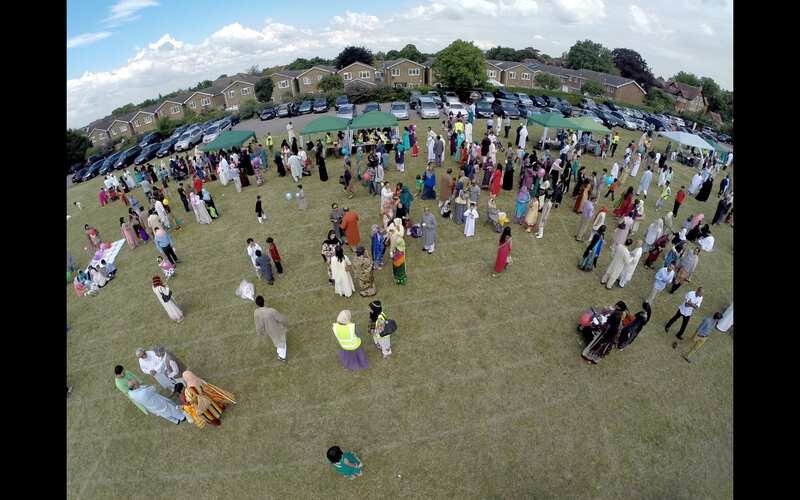 Please arrive by 9.00am for the salah at 10:30am sharp – please get to the park early to avoid any delays. There will be separate areas for the sisters. As ever don’t forget your prayer mat. The usual teas and coffees are on us!. See you all on soon! I have just had confirmation from Saudi Arabia, that the month of Ramadan is staring after Mughrib (tonight). InshaaAllah, WE WILL STATRT OUR TARAWEEH PRAYERS TONIGHT IMMEDIATELY AFTER ISHA PRAYERS AT 10PM AT THE THOMAS WALL CENTRE. TOMORROW’S TARAWEEH WILL START AT 10:45 PM (allowing people to take their iftar meal without rushing). Just a quick note to remind everyone, Ramadan less than a month away! If you would like to participate or help during Ramadan and the Eid gathering, please come to our Annual General Meeting. 2 – Eid in the Park – what’s happening? Teas and coffee will be available. Just to let you all know, it’s been confirmed straight from the Sheiks mouth: the moon has been sighted in Saudi and therefore Eid has been confirmed for tomorrow July 17 2015. – Arrive by 10am latest, the Salaah will start at 10.30am sharp. Car space is limited so please arrive early to avoid the rush. – Please do not rush off after Salaah, enjoy the day with us, there is something for everyone! Lastly, if you are able to volunteer to help clear up after the event, this will be much appreciated, many hands make light work after all! 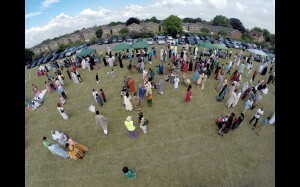 Insha-allah we will be holding our Eid event for the 5th consecutive year! If you’ve never been, it’s going to be “Awesome” or as the young G say nowadays “EPIC”. Salaat will be at 10.30am sharp. For this to happen we need helpers. Helpers. Helpers and more helpers. The main reason its such a hit is we have enough volunteers registering their commitments in good time for us to go ahead. Ahad -The Event Manager- is looking for at least 30 volunteers that they would commit themselves from start to finish, i.e. from 7:00 am for an hour and again at 2:00 pm for an hour on the day. We need volunteers are required for the day and night before. Clearing up time really depends on how many people are doing it , many hands makes light work! 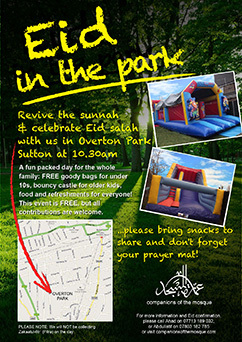 This event is to revive the Sunnah of gathering all of the town community out in the open to pray and celebrate the Eid, and to mainly make it a memorable event for our children. To those I say: remember all volunteers in COM also have other personal commitments, visitors and families too. But maybe if you think about the rewards that Allah may grant them for sacrificing their own needs in order to help other people having a memorable day, this may make you feel jealous enough to wanting to have these rewards too. Just to let you all know tonight, Wednesday 30 Sha’baan 1436, we shall be performing Taraweeh prayers at Thomas Wall centre. The start time will change to an earlier time so please make note of any announcements. – Please arrive sharply on time – no dilly-dallying around if Brother Ahad is there! – PLEASE DO NOT park in Lenham Road – you can park at the centre’s car park or the main road (Benhill Ave) or the road opposite. – When leaving the centre, please please please consider the neighbours: please DO NOT hang around outside the hall or in the car park or outside the centre. If you need to chat to anyone then do it inside the hall. Please DO leave extremely quietly, DO NOT rev your engine. May Allah rewards you for your co-operation. 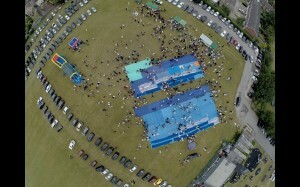 Yesterdays “Eid in the Park” was our best ever! Sun was shining, everyone was happy, lots kids eating lollies. We even had a special visit from the mounted Police who brought two horse for everyone to see. 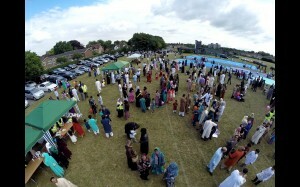 Lastly, I just wanted to say big thanks to EVERYONE who helped in making this Eid event a success it was. Just to let you all know, it’s been confirmed straight from the Sheiks mouth: The moon has been sighted in Suadi and therefore Eid has been confirmed for tomorrow Monday 28th. As a pre-cursor to our main celebration we will be having tea and biscuits in the Thomas Wall Centre tonight after Isha. If you have any questions, please call me directly 07713 189 032. 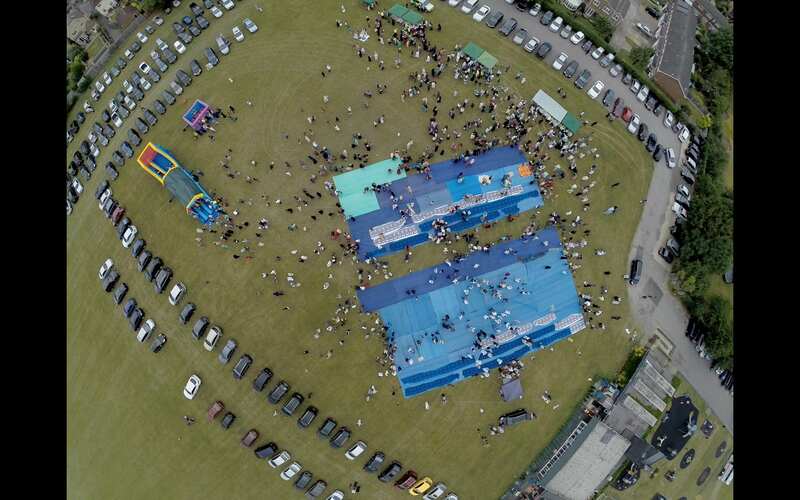 Companions of the Mosque will be organising Eid gathering in the park for the family for the forth consecutive year! Date is still be confirmed (depending on the sighting of the moon), but please check back on this site for confirmation nearer the time. 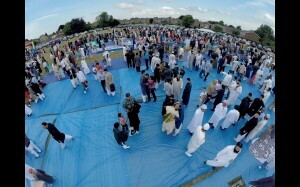 On the Eid day, please arrive by 10am, as the salah in the park will start at 10:30am sharp. 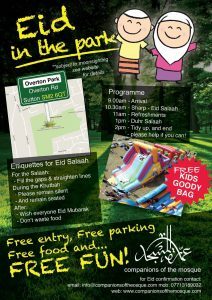 There will be separate areas for the sisters and plenty of activities for the kids, including a giant inflatables – see the poster for more details. There’s lots of snacks and drinks (including teas and coffees) and FREE goody bags for under 10s. Don’t forget to bring snacks to share. I really like lamb samosas, but feel free to bring falafel, sandwiches and any other nik-nak finger foods…. and bring your prayer mat. Lastly, this event is free, but ALL contributions are very much welcome.